These Halloween cupcake toppers are gruesomely gory gumpaste. 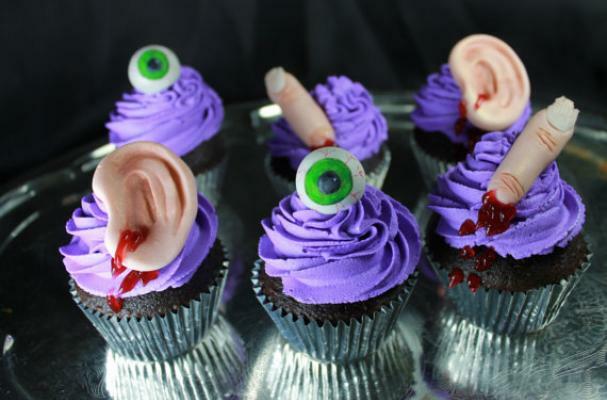 Handcrafted by Jean Marie Cake Design, the cupcake toppers are bloody body parts, such as ears and fingers, that add a grotesque finishing touch to your confection. Serve them up at your next fright night, but be careful not to cut off your finger. For another gory cupcake creation, check out these bloody cupcakes.